Each year, the intersections of art and technology change the way we experience the world. Not only is technology a constantly evolving new medium for creative expression, art itself now has an unprecedented reach and interactive potential. This panel will explore the ways that technology is joining forces with creativity to change not only the experience of art, but our experience of the world. Joshua Jeffrey, The Andy Warhol Museum: Joshua Jeffery is the Manager of Digital Engagement for the Andy Warhol Museum, where he oversees strategy and implementation of the museum’s presences on the web, mobile devices, social media, and through in-gallery interactives. Since joining the Warhol in 2010, he has re-designed and launched warhol.org, designed and produced The Warhol: DIY POP and The Warhol: Art apps, greatly expanded the Museum’s social media presence, and created various unique web and in-gallery interactive experiences for the museum and traveling exhibitions around the world. Prior to The Warhol, Josh founded a technology startup in Pittsburgh with colleagues from Carnegie Mellon University, where he completed a Master’s Degree in Entertainment Technology. Josh holds a B.F.A. in theatrical design, and has had numerous design internships including The Walt Disney Company and Thinkwell Group. Josh’s passions lie in creating compelling, meaningful art appreciation experiences enhanced by interactions with technology. Andrew Swensen, Carnegie Mellon University and Point Park University: Andrew Swensen is an adjunct faculty member of the Heinz College of Carnegie Mellon University, where he teaches in the master’s program in nonprofit management, and in the Conservatory of Performing Arts, at Point Park University. He is the publisher of The Muse Dialogue, an online journal on the arts, and served as the Director of Pittsburgh Filmmakers for six years. He is currently a Senior Consultant, Of Counsel, to 501(c)(3)2 to the film Journey to Normal, a documentary on U.S. women combat veterans. Andrew has held faculty positions at Brandeis University, Hamilton College, Wellesley College and Western Michigan University. He has taught courses across the humanities and worked in programs of comparative literature, cultural studies, the history of ideas, religious studies, and Russian literature. He received his Ph.D. from the University of Wisconsin, his M.A. from the University of Wisconsin, and his A.B. from the University of Michigan. Sandy Kessler Kaminski, Award-Winning Interactive Artist: Sandy Kessler Kaminski has been combining technology with traditional art forms since 2008. As both a painter and roboticist, her work merges the topographical metaphor in circuit boards with the aesthetic beauty of fine art drawings, paintings and sculptures. Sandy has collaborated with world-class universities and organizations including Carnegie Mellon University CREATELab and the Pittsburgh Technology Council; her work has been funded by the Pittsburgh Foundation, the Grable Foundation and the Pennsylvania Partners in the Arts, and her interactive work can be found in private and corporate collections around the United States. Jonathan Gaugler, The Carnegie Museum of Art: Jonathan Gaugler is the Media Relations Manager for Carnegie Museum of Art in Pittsburgh, PA, the first museum of contemporary art in the United States, and one of the most dynamic major art institutions in America, featuring a distinguished collection of art, film and video work. He facilitates the Creative Clash event series with the Pittsburgh Technology Council, connecting artists and technologists to an array of new media exhibitions at the museum. With his finger on the pulse of art museum innovation, Jonathan enjoys daily conversations with curators, writers, and artists, and facilitating new ideas to materialize in public spaces. Jonathan earned his M.Phil from Cambridge University, and provided outreach and PR for Cambridge University Press in New York City. 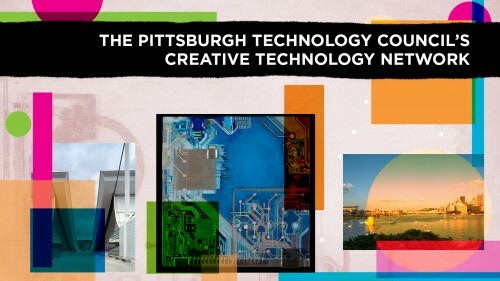 Kim Chestney Harvey, The Pittsburgh Technology Council: Kim Chestney is the founding Director of the Art + Technology Initiative with the Pittsburgh Technology Council and Carnegie Mellon University. She manages Pittsburgh’s Creative Technology Network, and is the founder of the Design, Art and Technology Awards (DATA) and national Creative Technologies Summit, in its sixth year running in Pittsburgh, PA. She is the curator of The 15 Minutes Gallery innovation art space, and has hosted events at national festivals including SXSW Interactive in 2013. In these roles, she has worked with an array of national Art + Technology innovators, including Burton Morris, Cirque du Soleil, Wil Wright, and Roger Martin. During 2013-14, Kim led a national benchmarking project with the Richard Florida group at the University of Toronto, studying the Creative Industries and their impact on economic development and culture. Her integrative approach to creativity is based on nearly 20 years of experience as an oil painter, graphic designer and creative director. This interactive panel features national leaders in art, digital media and education who all share a passion for exploring the boundaries of creative expression and experience. Attendees will be invited to ask questions, share ideas and interact with various applications. Panelist expertise spans the gamut including Film, Digital Media, Traditional Art, Contemporary Art, Art Education and the Creative Economy – including the role of creativity in cultural and economic innovation. Creativity is the root of all transformation – personal, cultural and global.